All of the below training classes are available with a group discount, and we also encourage Families to participate with children as these are very important skills in our mind. While the Boy Scouts of yesteryear were the masters of these skills, sadly they have fallen to the wayside with today’s concerns. A Child of an appropriate age may attend any of the below classes with their parent, free of charge. Multiple children may attend as a family at a reduced rate. Many classes may be combined with another class to create a unique class for specific situations. Please read the course or class description for each class to see what will be covered. All classes will include a little of all the others: ie. Navigation class will also have a little edibles, water purification, fire or shelter, etc in addition to the main topic of Navigation. We will have limited supplies in stock of a variety of equipment that we think is good, as well as a variety of other items that may make your life easier in a survival or bug out situation. The only things we will offer is equipment or items we ourselves carry. Limited availability so don’t depend on buying from us at class, instead come prepared and see how your stuff works. These are knowledge based classes, so bring a note pad and pen to all the classes. Since these notes will become a reference for you later, maybe under harsher conditions, the “Rite-in-the-rain” brand of notepads, journals and pens are recommended. ALL CLASSES are RAIN or SHINE – now that just makes sense don’t it! A whole Weekend devoted to the survival mindset, with the walking dead thrown in. While the walking dead is tongue in cheek, there are a lot of “monsters” in our minds when we are sitting in the woods in the middle of the night. Learn how to overcome these fears and not only survive, but actually thrive in the wilds! We will be introduced to travel with little to no trace, camouflage our movement, our camp, equipment, and person. Our group will learn communications, security, and interactions to resist or counter attack! We will learn to start fires, and how to bivvy in ALL conditions, and build those fires without a “Bic”, although we will use one of those as well. We will spend the weekend outside practicing the different skills and techniques necessary to avoiding and surviving: Tracking, fire making, shelter building, survival without camping equipment, camouflage, communications, navigation, improvised primitive weapons, water procurement, some wild edibles and medicinal plants. We will operate as a team and avoid others, unless it is on our terms! We will overnight in the forest. Bring: Ruck, backpack or daypack, canteen, and what you would expect to have on a bugging out the back door because the Zombies are coming in the front door situation. Firearms are optional if you have them and are trained. This is an excellent class to try your bug-out-bag and skill sets! Are you prepared and more importantly – ready – to escape, and then evade a systematic search in a wilderness environment? 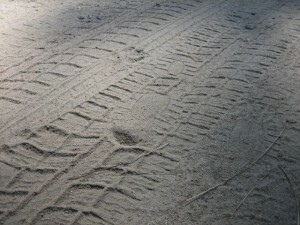 Are your E&E skill sets up to avoiding recapture? Are you ready to evaluate, improve, or even learn some new skills! This class will cover group movement, individual movement, camouflage, communications, navigation, counter tracking, and escape considerations – AND it will be done in a realistic environment in the forest with opposition forces looking for you! Scenario: While bugging out to your wilderness retreat, you and your family have been captured by a gang of scavengers, they have restrained you and your family with an assortment of restraints. While they are busy going over your vehicle supplies and entertaining the other previously captured females, you observe that your bug out bags, weapons and gear are stacked nearby and that no guards are obvious! You must 1. Quickly FREE yourself and your family during your captors distraction, 2. Escape without notice, 3. Avoid pursuit and recapture while making your way through the wilderness to your retreat and safe area. Skills include: small group movement, communications, counter tracking techniques, navigation, camouflage, restraint escape, and Individual bushcraft. Prerequisite for all of our outside or overnight classes. Yep, a whole day devoted to starting fires and bivving in ALL conditions, and without a “Bic”, although we will use one of those as well. Humans are both resilient and fragile at the same time. You start encountering trouble when you are without shelter for more than 3 hours, so lets learn how to fix that. We will spend the day outside practicing different skills and techniques of shelter building, and fire starting with a wide variety of techniques. This is a solid basic skill in anyone’s kit! Learn it well as it may just save your life! Navigation, Map/Compass/GPS/Other – $100 – 1 Day. Just how do you use a map and compass? We will show you how. Both field and classroom work involved. Materials required: Orienteering style handheld compass, sturdy footwear, dress for the weather as we will be outside for portions of the class. Lunch, fluids, sunscreen or bug repellent recommended. This class will also cover navigation with out compasses, telling time without a watch and navigating with a watch. GPS – $100 – 1 Day. Patrol Tactics – $100 – 1 Day. Tactical movement to reduce visibility and discovery. Camouflage, counter tracking, leave no trace, awareness, and more. Survival Tracking – $100 – 1 Day. 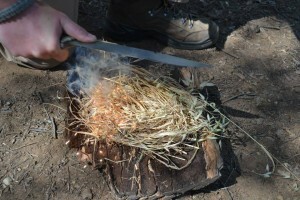 Wilderness Survival – $250 – 2 days. Overnight trip. Learn what you should always carry on your person, and how to use those everyday carry items (EDC). Anyone who works in the wilderness or rural communities, or who hunts, fish’s or travels/camps should have these skill sets. Learn what you can do without any other item on your person or available. 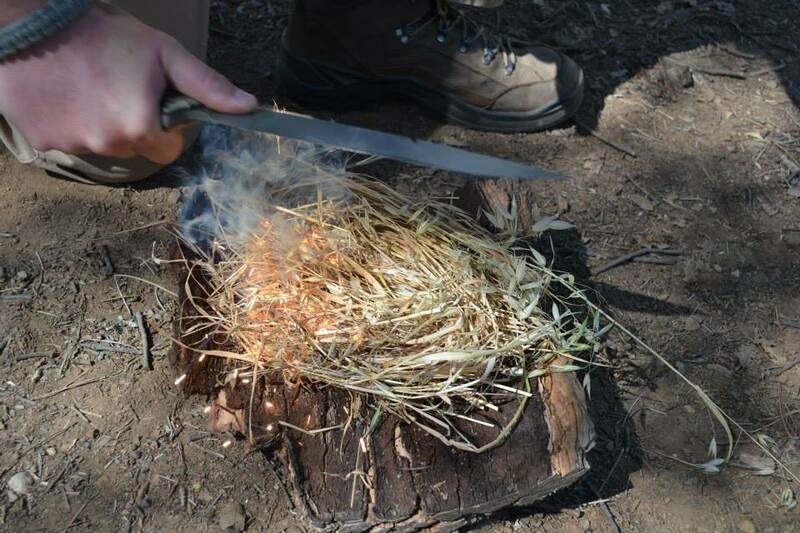 Cutting tools, fire starting, water purification and shelter making are covered using only what you can improvise. Survival kits and EDC items are covered in detail as well. Water purification, shelter construction, Direction finding, Survival mindset, and too much more to list. Definitely the basic start to making your life easier in the wild! Primitive Tools and Weapons – $100 – 1 Day. Caught outside without your firearms or cutting tools? Have to evade and escape without being ready? Can you survive and can you eat without your gear or pack? If not, we will prepare you for your walk out and how to make a variety of weapons to take game or defend yourself. 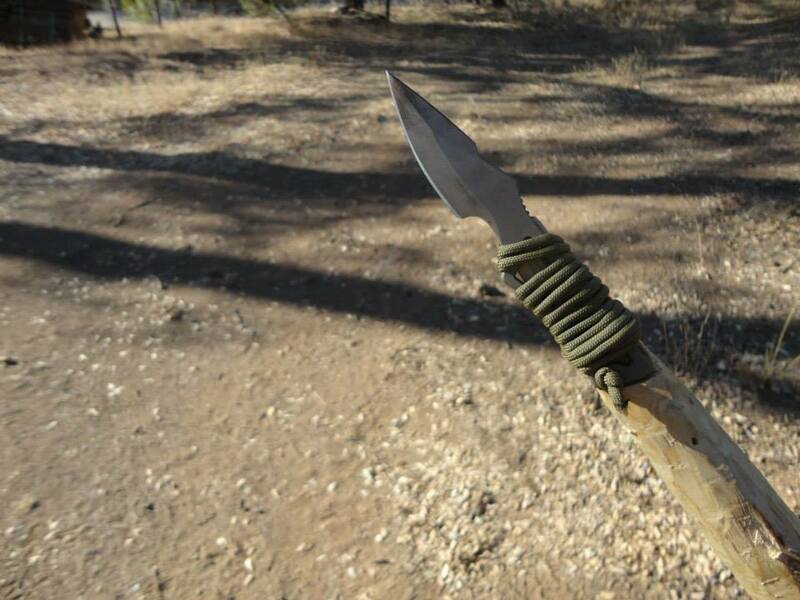 We will construct these weapons and cutting tools, and we will cover how to hunt, clean and prepare your catch. Survival Firearms – $150 – 1 Day. We will review and recommend firearms based upon selection, and purpose; and we will review maintenance and improvised repairs for the survival or evasion situation. Classroom and Range – We will assemble, disassemble, shoot and maintain a variety of survival firearms. We will spend a little bit of time in the classroom, but the majority of the day will be outside foraging, learning to recognize, and preparing edibles from nature, and we will eat what we find! Bring water, note pad and pen (Rite-in-the-rain recommended) and dress to be outside. Sturdy footwear makes the day nicer. Recommended reading list provided. Practical application and construction of traps for a variety of game and food sources. Couple of hours classroom and then the rest of the day in the field. Dress appropriately. Bring lunch, water, billed hat or cap, note taking materials, field knife. Combat Medical Tactics is a three-day (3), (25-30) hour course which combines Violent Force Trauma (VFT) solutions and Advanced Defensive Pistol topics along with lecture of survival principals and preparation. Students will enhance their pistol skills while also combining medical skills and their disaster preparedness. This course includes a separate Red cross First Aid/CPR/AED Certification class on the first day. Topics include: • Basic understanding of violent trauma on the body. • Major killers of violent trauma. • Skills necessary to mitigate violent wounds. 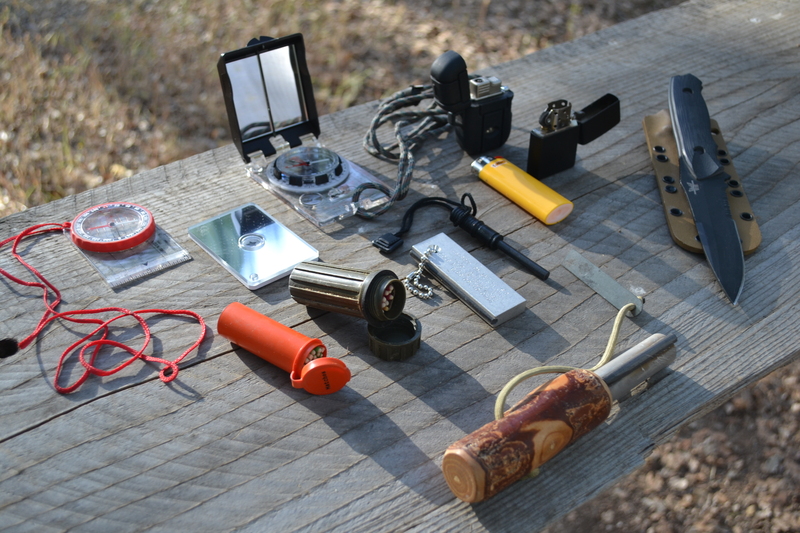 • What tools/equipment you actually need in your personal kit. • Advanced gun handling while in a pair or small unit. • Prioritizing hostile and trauma threats. • What to expect from different types of disasters. • What is your realistic plan for survival given different disaster scenarios. Due to the live fire nature of this course in a pair or small unit, you must have completed our Advanced CCW (Gun Fighter) or have proof of completion of other equal or greater pistol training. Any questions please contact us. Discussion forum of homeopathic and traditional medical remedies for the back country or when developed medical treatment is unavailable or unreliable. What plants and flora are available in the central Sierra Nevada Mtns and central Valley area and how to use them to treat illness or injury. Long term survival and temporary solutions will be discussed. Recommended reading and resource list provided. Introduction to Preparedness – $50 – 4 hour classroom. Basic introduction to the preparedness mindset and fundamental steps to help better prepare you and your loved ones for survival in the event of a natural disaster, social breakdown or interruption regardless of the cause. This would be considered “Prepper Basic” and we will discuss how to get started and which direction to go. Fundamentals of Preparedness – $250 – 2 Day (8 hrs classroom/8 hrs field). Examines preparedness issues, ideas, concepts in depth. Discusses the specifics of: What and How Much, Living without Electricity, Basic Foraging, Medical Concerns and Supplies, Hygiene, Bugging Out, Further Training and in what fields, Reading and Resource Suggestions, and much more…. Bug Out Bags – $50 – 4 hours. What is the Bug Out Bag, what should be in it, whats better, and Every Day Carry (EDC) items. Discussion and recommendations for a personal “always on you” (EDC) kit, a grab bag and a get out of town on foot or vehicle bag. Bugging Out Preparedness – $500 – 3 Day or 36 hour class. Test your Bug out Bag (BoB) equipment and your skills. Learn new skills or suggestions on equipment improvements after trying what you have in the real world. Test your equipment and skills that are supposed to keep you alive and safe when your have to “hoof it”, such as navigation, improvising, adapting and overcoming obstacles and situations, fire making, water purification, 1st Aid, and Survival firearms, and lots more….. Recognized Wilderness and Urban Survival experts will accompany you and ensure this is a learning experience and training, not just a tough it out in the woods class. Any monkey can do that, lets learn to do it in comfort! The art and principles of camouflage of yourself, your equipment, campsite and trail. How to evade detection through infra-red, thermal, visual, and smell; and how to defeat or minimize these detections. Hunters will particularly benefit from this class. Discussion of general camouflage patterns, techniques, “Gillie Suits” and others both natural and man-made. 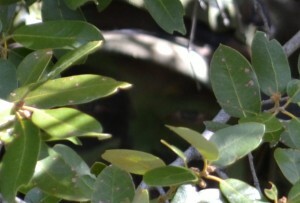 Both classroom and field exercises to demonstrate and teach basic techniques of trail hiding, camouflage effectiveness, movement and more.